While Luke Howarth masters the Saturday Series, Ethan Dawson has taken the lead in the Sunday Series. Not sure what Harry did to secure his disqualification! 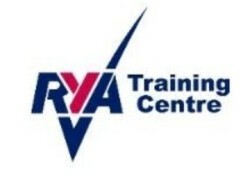 Adam Savage from the RYA came to give a days training for the Youth Squad on June the 12th. Luckily many of the mornings trainees stayed on as only Ethan Dawson from the Youth Squad made it. Never mind, this means that Ethan will have the upper hand on the start line now! Adam went through the starting procedure over and over and coached the kids on the water. Judging by the smiles and screams we heard we think they enjoyed it! It was pleasing to see that some of the trainees came back for more the week after and joined in on the Youth Squad racing so that there was a fleet of six toppers out in shifty wind conditions which meant the OD Robin Dawson had his hands full.